David A. Briston, MD, MS, is a board-certified cardiologist dedicated to providing lifelong care for patients of all ages with cardiovascular disease. Dr. Briston's areas of interest include advanced heart diagnostics, non-invasive cardiology, and event and Holter monitoring. He is a graduate of the West Virginia University School of Medicine. Dr. Briston carried out his pediatric internship as well as his residency training in both internal medicine and pediatrics at Jackson Memorial Hospital and Holtz Children’s Hospital in Miami, where he was the namesake and initial recipient of the David A. Briston, MD Excellence in Resident Research Award. He went on to complete fellowships in pediatric cardiology at Children's Hospital at Montefiore in New York, and in adult congenital cardiology at The Ohio State University Wexner Medical Center in Columbus, OH. Dr. Briston is fluent in English and Spanish. Dr. Briston is the namesake and initial recipient of the David A. Briston, MD Excellence in Resident Research Award. More adults than children are alive with congenital heart disease today. Dr. Briston is one of only a few dozen cardiologists nationwide to have completed the two-year fellowship in adult congenital heart disease, and the only one in Florida. 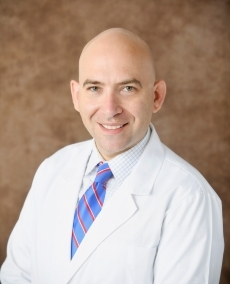 He has expertise in congenital heart care for all ages and is one of the few providers trained and boarded in caring for both children and adults as a generalist and specialist. Dr. Briston emphasizes the importance of lifelong care and realizes how multiple factors influence comprehensive medical care. He emphasizes providing quality care and acknowledges its importance in daily life.